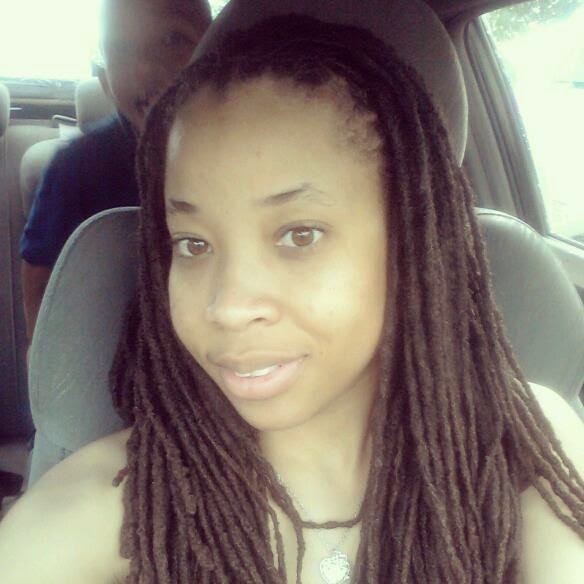 Another Pinterest challenge. It was fun to make and delicious. This recipe came from Rasa Malaysia. I made some adjustments of course to the recipe. I made it a full meal by adding shredded cucumber and carrots. Below is my version of the recipe. Note: If you are broiling the chicken I highly suggest placing chicken on a sheet pan and rack, no directly on the sheet pan. 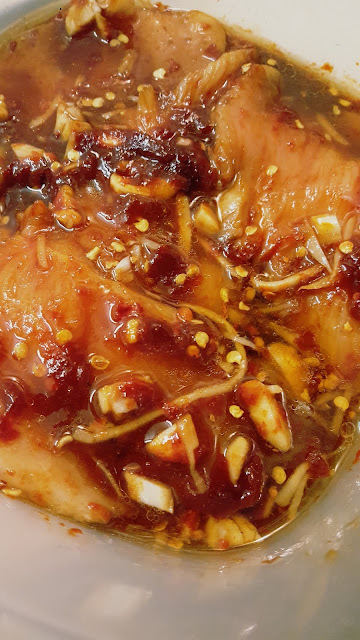 It's easier to use two spoon to mix the Korean Chili Paste into the marinade. Cooling after removed from the broiler. Slicing after 5 minutes of rest allows the juice to settle back into the meat. When you cut meat and you see all the juice flowing out, that is flavor flowing out...you con't want it on your cutting board...that belongs in your mouth! 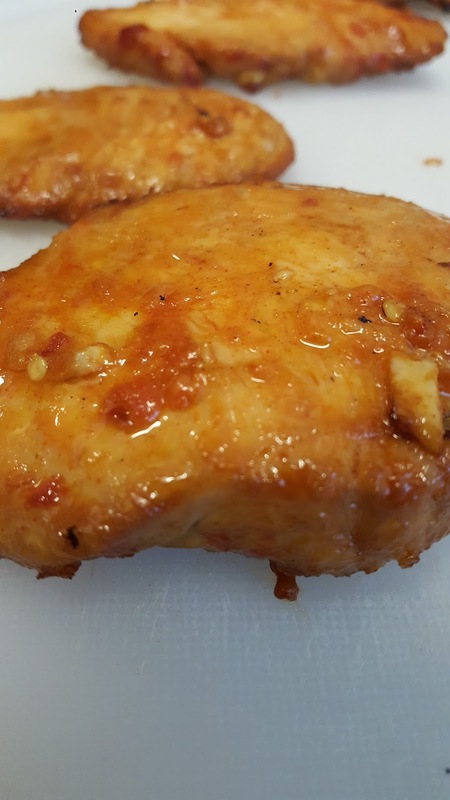 Slice large chicken breast horizontally. 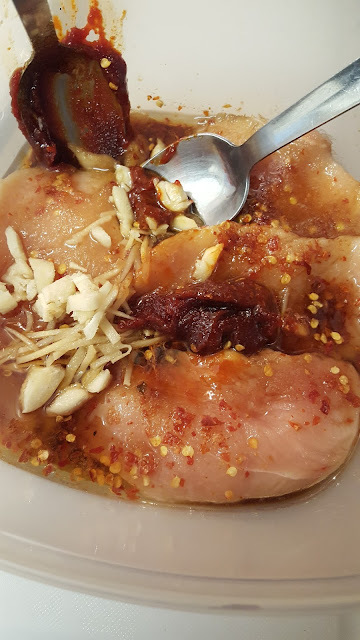 Marinate chicken in a shallow container or Ziploc bag with marinade mixture for 2 hours. 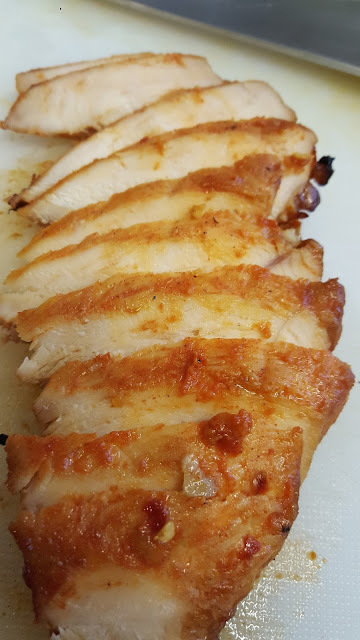 Grill (until slightly charged) or Broil chicken until cooked through. Set chicken aside, let it rest (5 mins). 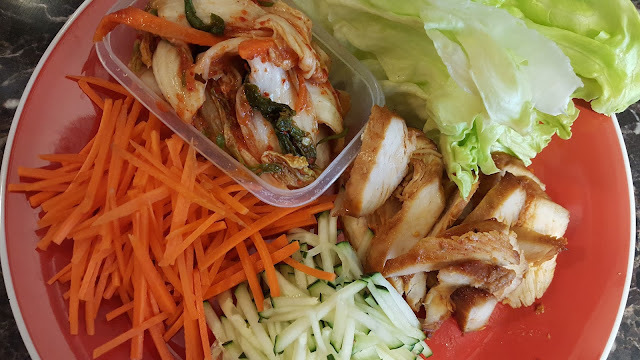 Serve chicken with the lettuce, cucumber, Kimchi and carrots.